Protect Geprags Park is a citizen group that came together to oppose the construction of the VGS ANGP pipeline through a public park in Hinesburg. After learning a lot about pipeline construction, and aware of the reckless nature of VGS project, the group turned attention to safety concerns, and is now challenging the pipeline in a case before the Public Utility Commission that began when Vermont Gas admitted to having buried the pipeline too shallow in an area in New Haven. What happened at Geprags Park? 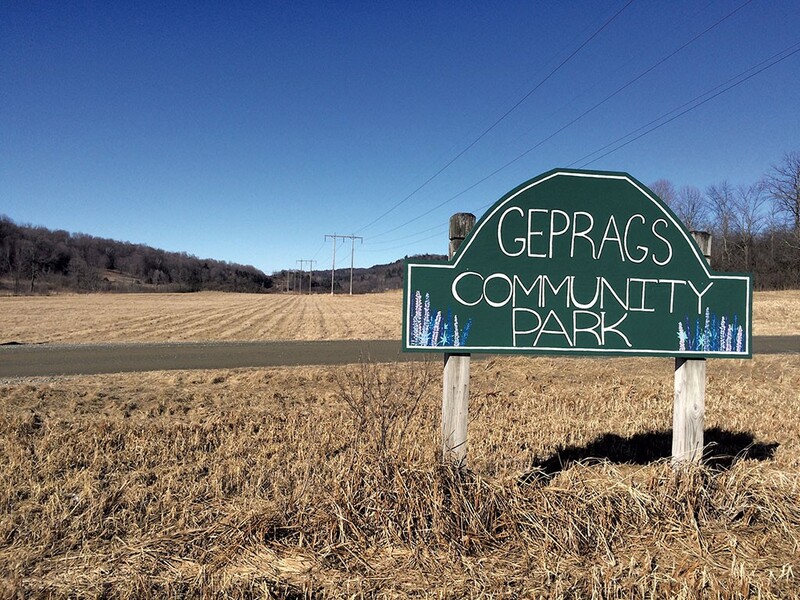 Geprags Park was donated to the Town of Hinesburg in 1991 with a covenant that the land be used only for `educational and recreational’ purposes. For over twenty years its use was devoted entirely as a nature preserve and for hiking. In February of 2016, when this secret and highly illegal agreement first came to light, our group forced the Selectboard to retract it, and then successfully intervened in VGS’ emminent domain proceeding before the Public Service Board. ed horizontal drilling (HDD) 30-40 feet underneath the Park, at an additional estimated expense to it in excess of $1,000,000. Protect Geprags Park got a “better deal” for the town of Hinesburg, but still opposes transmitting highly dangerous fracked gas through Vermont. We challenged the PUC decision to allow HDD installation of pipeline through the park in a VT Supreme Court appeal. We lost that appeal, though one judge expressed, in his dissenting opinion, that this case sets a precedent that does not bode well. We've now turned our attention to safety concerns, and we're now challenging the pipeline in a case before the Public Utility Commission that began when Vermont Gas admitted to having buried the pipeline too shallow in an area in New Haven.